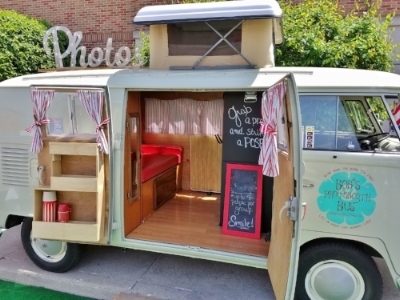 Our Photobooth is inside an iconic 1967 VW Bus! Affectionately named, Spicoli. Being new to Chicago with our Bus these pictures are of events from other companies that do this in other states. We will soon have our own .